Size: 20 x 16.5 cm. Contains 20 photo pages, available in either black or cream. Different shades of paper available (see handmade range of papers). 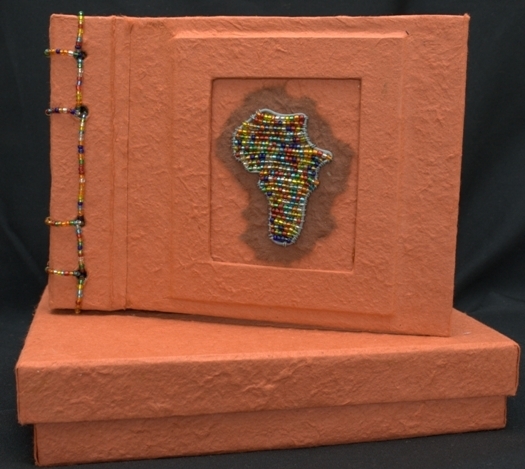 Wire and bead work african map on cover. Silk sheets are an optional extra. A matching plain storage box is included.